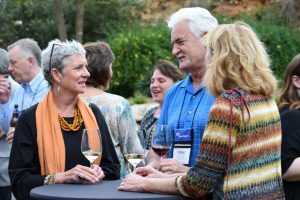 NIA membership provides companies with access to a broad network of educational tools and content, professional development opportunities in a variety of topics and presentation formats, and unsurpassed networking with insulation peers and leaders at its premier industry events. NIA believes that life safety is paramount and works to provide opportunities for members to improve their companies’ safety programs. NIA’s Theodore H. Brodie Distinguished Safety Award Program is the association’s highest industry honor and the only national award for outstanding performance in the mechanical insulation industry. Open only to NIA members, all applicant companies receive an individualized and detailed Safety Training Analysis Results (STAR) Report, which is based on application responses and is written by NIA’s General Counsel and Occupational Safety and Health Administration (OSHA) expert. For more information on the award program and NIA’s commitment to safety, please visit our Safety Award page. 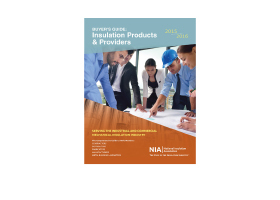 NIA is proud of the members it represents and promotes members’ products and services through its online member directory and the annual Buyer’s Guide: Insulation Products and Providers, which is distributed to more than 10,000 end users of insulation products and services. 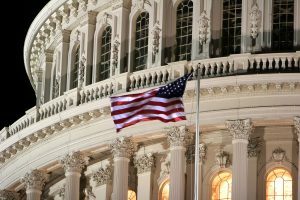 Promoting members’ products is a priority for NIA when advocating for the inclusion of insulation language in legislation on Capitol Hill, or working with other influential organizations such as the Department of Energy, General Services Administration, state energy offices, and other groups that support energy-efficiency measures. To learn more about benefits of membership, please review our membership brochure. 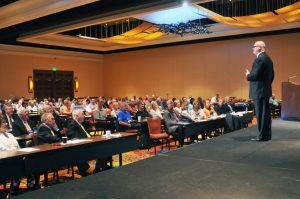 Whether you are a seasoned insulation veteran or new to the industry, taking the time and energy to meet fellow peers and industry leaders is a sound investment for you and your company. NIA provides networking opportunities that allow you to meet and network with competitors, buyers and vendors, and other influential players in the commercial and industrial insulation industry. For more information on networking opportunities, please visit our Events page. Access numerous in-person, online, and printed resources to educate customers, train new staff, influence decision makers, and promote your company’s products and/or services. Many resources are available only to members, are free for members, or are available at a member discount. Visit NIA’s Bookstore to view available products, or learn more about the resources NIA offers on our Training and Tools page. Our members are busy tending to the day-to-day business of their own companies. NIA’s mission is to support and promote the entire industry and the many benefits of insulation for mechanical systems. Lend your voice and support NIA’s mission to grow the industry and influence Capitol Hill, code officials, building owners, facilities managers, and others in the commercial and industrial industries. For more information about NIA’s work to grow the industry, please visit our Advocacy page. Thank you for considering membership with the National Insulation Association. To submit your application, please visit our Join NIA page. 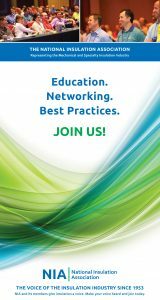 For all questions related to Membership with NIA, please contact Kristin V. DiDomenico, Vice President at membership@insulation.org.